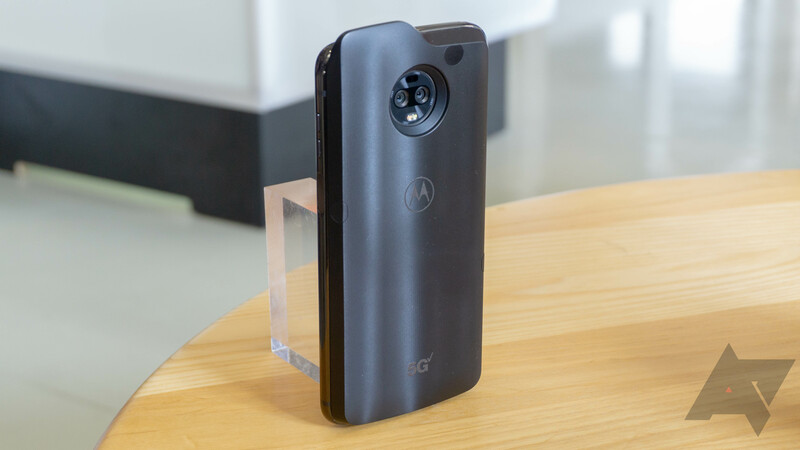 Motorola's latest smartphone will launch soon on Verizon, but the Z3 will be a very ordinary phone until next year when the 5G Moto Mod launches. When you snap that slab of high-speed network technology onto the back of your device, you'll go from just one to three modems. The way these modems interact is rather odd, based on my discussions with Motorola engineers. 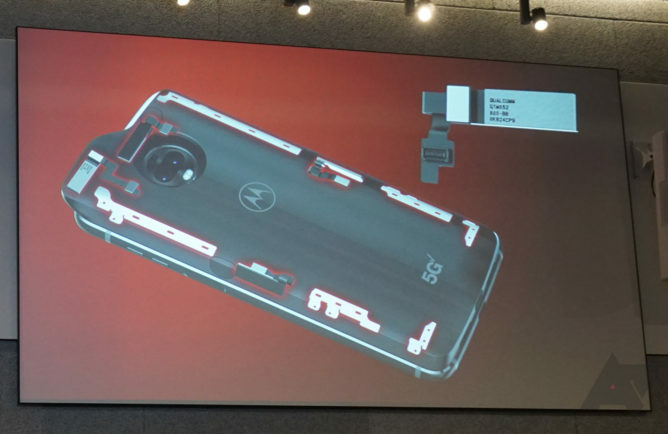 Inside the Moto Z3, you'll have the Qualcomm X16 LTE modem that's part of the Snapdragon 835 package. The Mod contains an improved X24 LTE modem and the new X50 5G modem. You need all these modems because of limitations in Verizon's upcoming 5G network and Moto's Mod platform. When the Mod is connected, your Moto Z3 will only get data from the Mod's modems. Thus, the internal X16 can go to sleep. Ideally, the 5G modem will connect to Verizon's network and deliver as much as 5Gbps of bandwidth (theoretically). The network can tell your Mod if the connection is too weak, allowing it to switch over to the X24 LTE modem. However, that means the second Mod modem needs to remain active at all times so it can be ready to jump in and take over. This is a Cat 20 modem, which Verizon says can deliver up to 2Gbps of bandwidth. Again, that's theoretical. The internal LTE modem still has a job to do—it handles all your voice calls. VoLTE on Verizon needs to go through the modem in the SoC, and even if there was a workaround for that, Motorola says there's too much voice latency when decoding audio in the Mod and then passing it into the phone. So, there could be instances when you have all three modems active simultaneously for quite a while. Hello, battery drain. Verizon's initial 5G rollout will be in the millimeter wave spectrum, specifically around 28GHz for most of Verizon's network. By comparison, most current LTE bands are 2.5GHz or under, and the sub-1GHz frequencies are the most coveted because they transmit over longer distances and can pass through obstacles. Millimeter wave bands don't go as far, and something as insignificant as your hand can block them, but you can cram a lot more data in those waves. In Motorola's testing facility (which I was not allowed to photograph), engineers demonstrated with a prototype 5G tower antenna and Mod how fast the data transfer over 5G could be. One of the engineers also demonstrated how easy it would be to interrupt the signal by waving a hand between the phone Mod and antenna—the signal dropped dramatically the instant his hand passed in front of the Mod. I have yet to get a satisfactory answer as to how well Verizon's 5G will work indoors, but the actual 5G towers will support technologies like beam steering to at least limit your hand's interference. 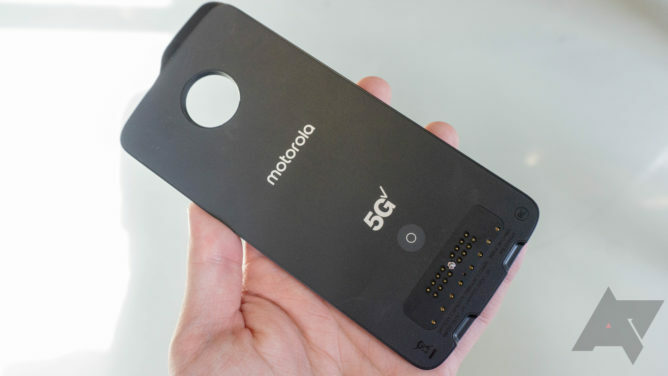 On the phone side, the 5G Mod will have four separate antenna modules inside to help maintain a connection. There will be two near the top (including one that peeks over the top of the phone in an antenna hump) and one each on the left and right sides. The antennas inside the Mod are apparently a smushed version of the one Qualcomm recently announced with much fanfare. You can see the previously announced model above. On the underside (which I was also not allowed to photograph) are four small dots that are actually individual steerable antennas. 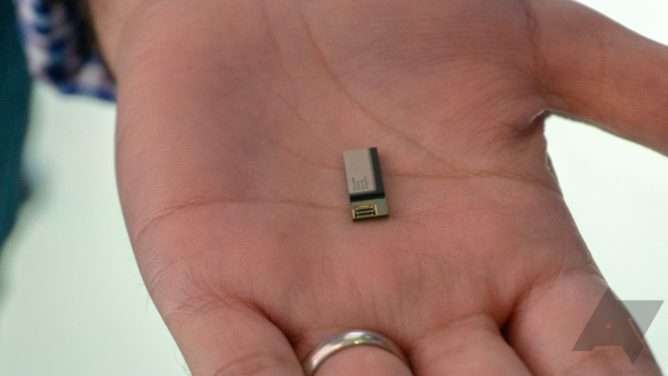 The one thing that may make the 5G Mod viable is that it will come with a built-in 2,000mAh battery. Owners of the HTC Thunderbolt are probably still traumatized by the abhorrent battery life caused by that first-gen LTE modem. Early 5G devices probably won't be much better, but the Mod will bring its own power to the party. It's necessary but also makes the Mod clunky. I was only able to try a non-functional prototype, but it made the phone uncomfortably thick and heavy. Motorola didn't have details on how long the Mod would run on internal power, but you won't lose 5G connectivity when the battery runs dry. The phone's 3,000mAh battery will supply power to the Mod to keep its radios alive, which will no doubt affect your battery life. You can, however, remove the 5G Mod if you want to go back to LTE and save your battery. The Mod has a USB Type-C port of its own for recharging, so it doesn't need to be attached to the phone when you plug it in at night. Importantly, the 5G Mod is not a battery pack to charge your phone. Power only flows from the phone to the Mod, and never the other way around. 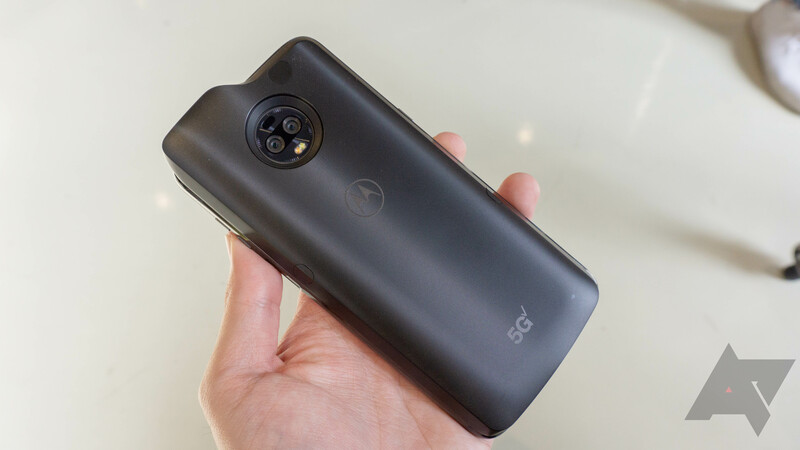 When the 5G Mod launches next year, it will only support the Moto Z3. 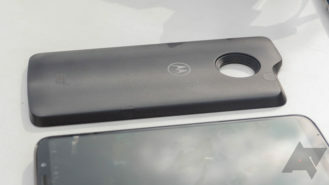 The Mod connector is identical on this phone to all the other Moto Z phones so far, but software support will only be live on the Z3. 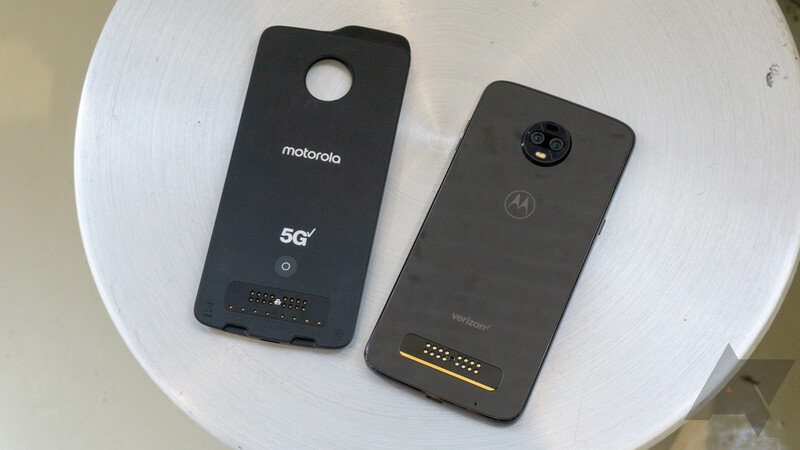 The 5G Mod has its own internal (non-removable) SIM card, so nothing is stopping it from working with other Moto Z devices. This is merely a business decision from Moto and Verizon. Even Verizon's Moto Z2 Force will be left out. 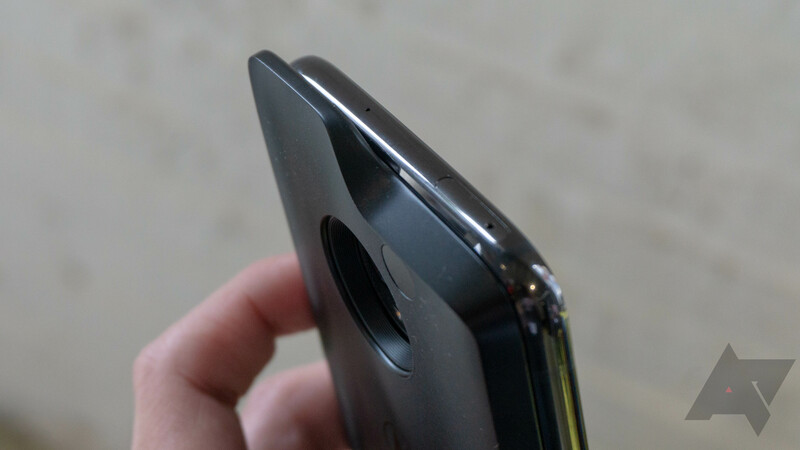 Note how the antenna peeks over the top of the phone. 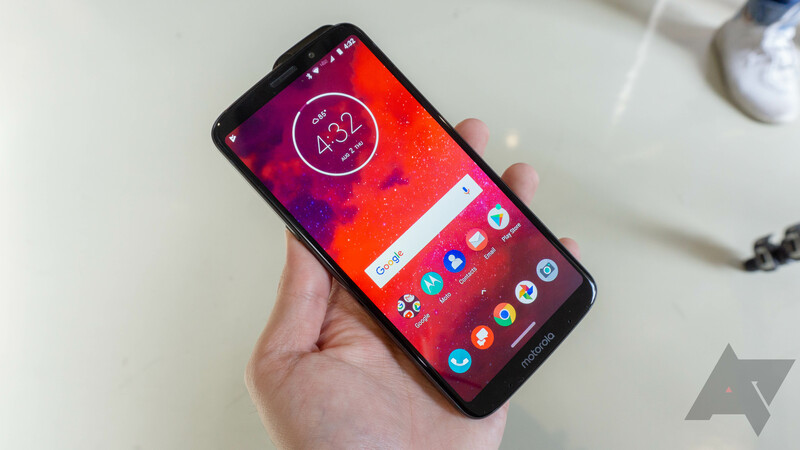 Moto says it will evaluate bringing the Mod to more Z phones on Verizon, but the Moto Z3 will enjoy a period of exclusivity as the only 5G-enabled phone on Verizon... and probably the only one on any carrier.